The Royal Pavilion, designed by John Nash in 1815, is in the style of the Moghul palaces of India built under the influence of Islam. 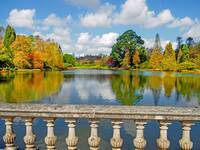 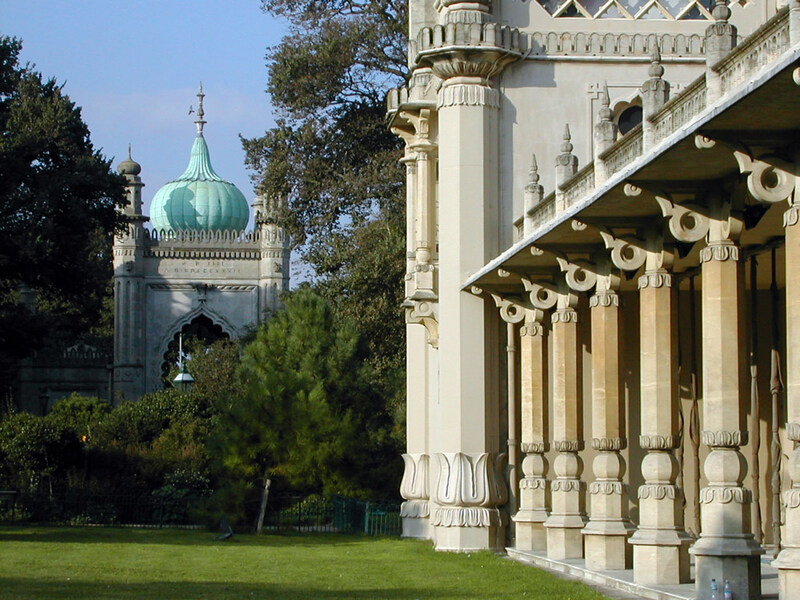 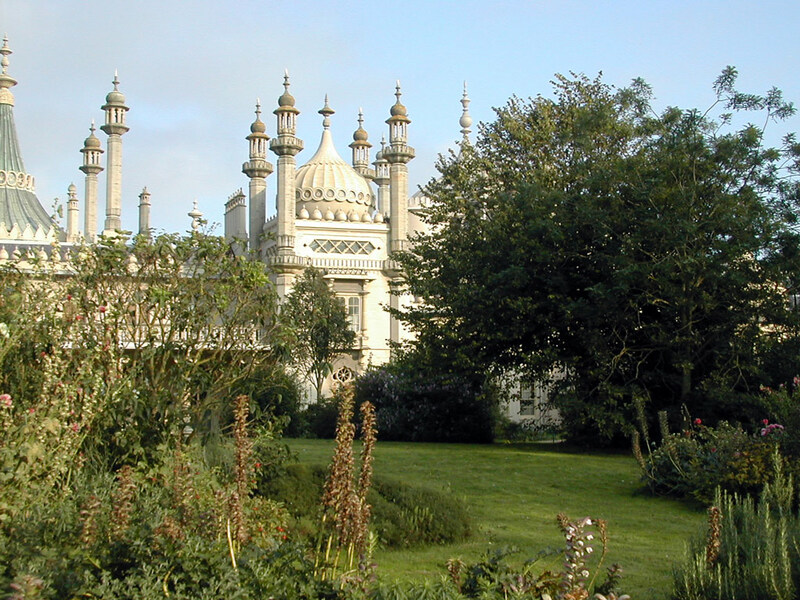 The idea for using this style came from Humphry Repton's Designs for the Pavilion at Brighton (1808). 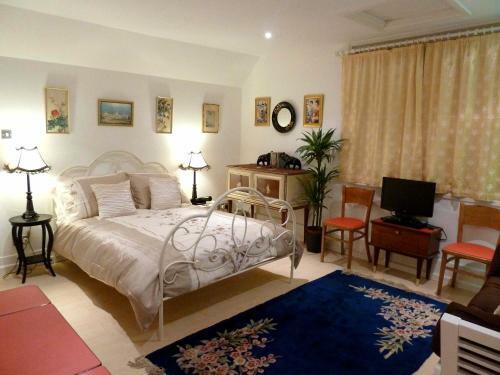 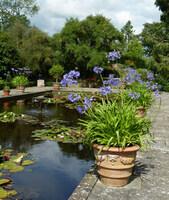 It was a style which Repton also recommended at Sezincote. The gardens of the Pavilion, which are not extensive, have been returned to their 1826 appearance. Loudon complained, in 1842, about the grounds being shut in by a high wall, instead of by an iron railing. 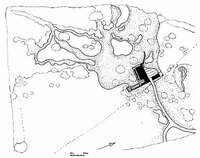 The fault was remedied. 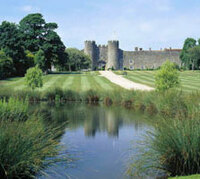 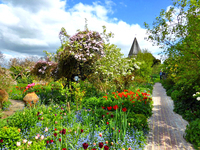 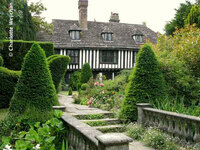 Loudon also wanted the surrounding houses to be cleared away, to give Queen Victoria a larger garden. 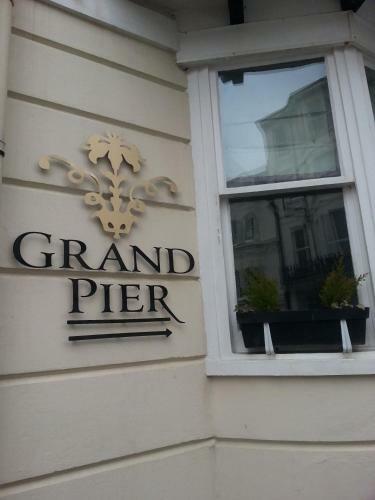 Fortunately, this was not done. 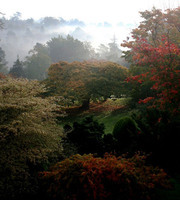 Instead of making a Moghul garden, Repton opted for what Edward Kemp called the Mixed Style. 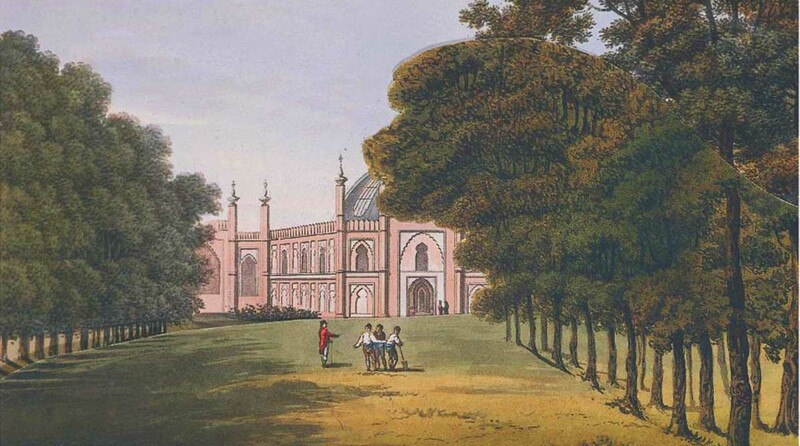 Setting the Pavilion in grass and trees (some arranged as avenues) resembles the way in which the British managed Moghul gardens in India but this is not the traditional planting style of Islamic gardens. 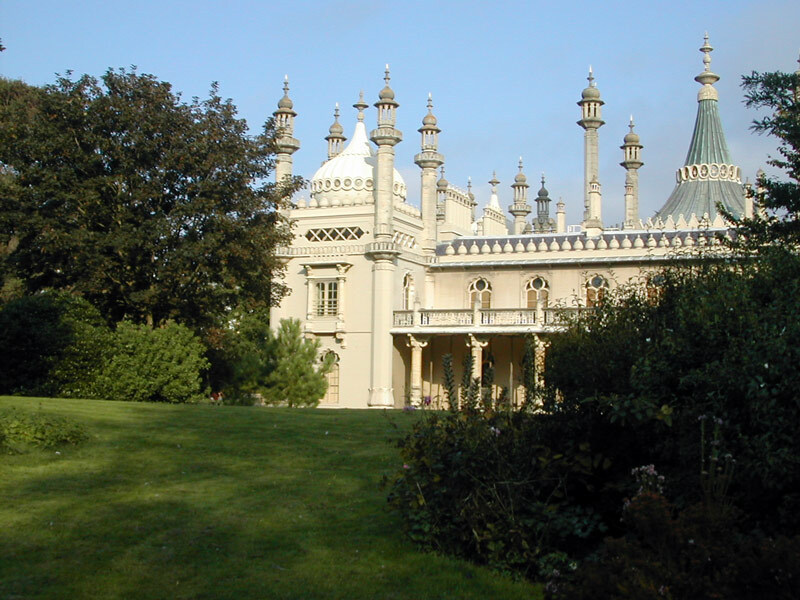 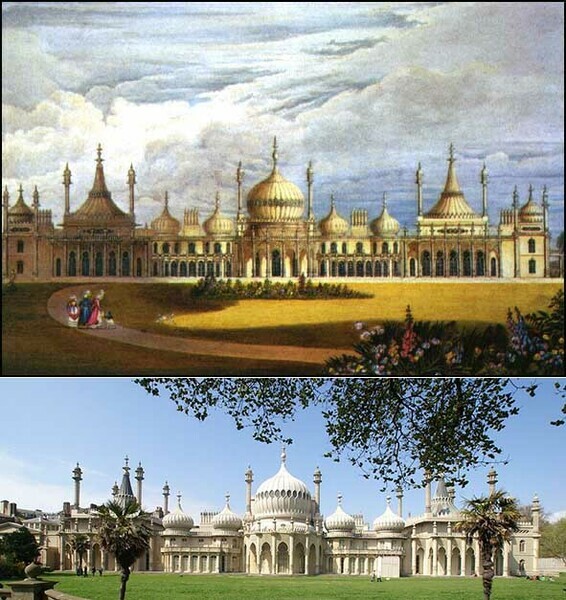 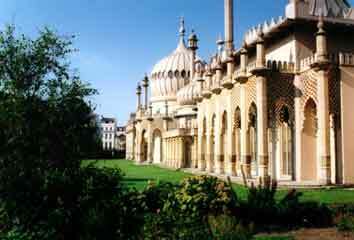 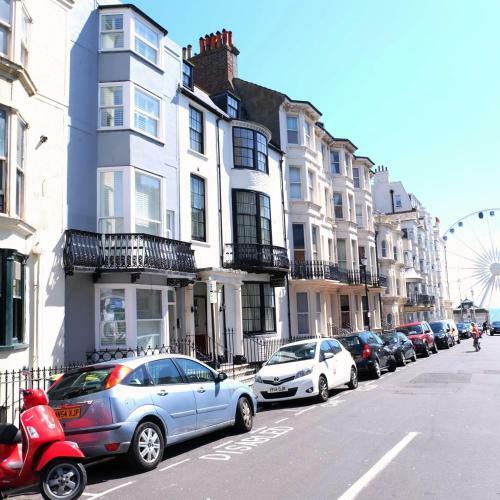 Loudon's edition of Repton's proposal for the Brighton Pavilion is on the Gardenvisit website.